Installing more electrical outlets at home increases access to electricity. But without considering the types of outlets and what best suits certain locations, you can limit functionality, and even put your household at risk. Consult an electrician before doing any electrical work and ask what outlets you should install for your home. A GFCI outlet includes a ground fault circuit interrupter. Installed where an outlet may be exposed to moisture or humidity, such as a bathroom, kitchen, utility room, or outdoor power connection, it is designed to sense a short circuit and cut power to the outlet. The GFCI trips when electricity exceeds the normal flow through the hot wire and neutral wire. It prevents you from being electrocuted if, for example, you’re using a hair dryer or power tool, and there’s a ground fault while your feet or hands are damp. An arc-fault circuit interrupter protects against arcs, or sparks of electricity that jump from one wire to another. Arcs are a common cause of electrical fires. Similar to a GFCI, an AFCI helps although cracked wire insulation can still put you at risk. AFCI outlets can be installed in older homes but it’s safer and more effective to install AFCI circuit breakers. These are typically found in any home constructed after 1999. The standard home outlet is rated for 15 amps, or 15A, which is how much electricity it can handle at one time. Amperage ratings apply to every electronic device and appliance. Larger appliances can use 5 amps or more, while charging a smartphone requires about 1 amp. If you have high-power appliances such as in the kitchen, garage, or laundry room, a 20A circuit may be needed, and thus 20A outlets, which can handle 25% more electrical load. Installing a 20A outlet, identified by the notched left-side prong opening, requires thicker wiring in the walls. Instead of connecting a light switch to an outlet, install a receptacle with an outlet and a switch. You can therefore turn off the outlet instead of unplugging devices. Also, you could plug in an extension cord, which can be powered while you can turn separate devices on and off without reaching for distant power switches. A standard outlet that can be turned on and off from your smartphone, whether you’re just outside the house or on the other side of the world. It can be installed in place of any standard outlet. To use the system, a smarthome hub is required. Have two built-in USB ports so you can plug in electronics and charge mobile devices. Four-port outlets replace all receptacles and can charge a device at full speed. These outlets require electrical wiring like a regular outlet would. On the other hand, a USB wall charger simply plugs in so no electrical work is needed. A standard for modern homes, 3-prong outlets are practically all over the place. It is much safer than an ungrounded 2-prong outlet, which does not meet modern electrical codes and is a safety hazard. 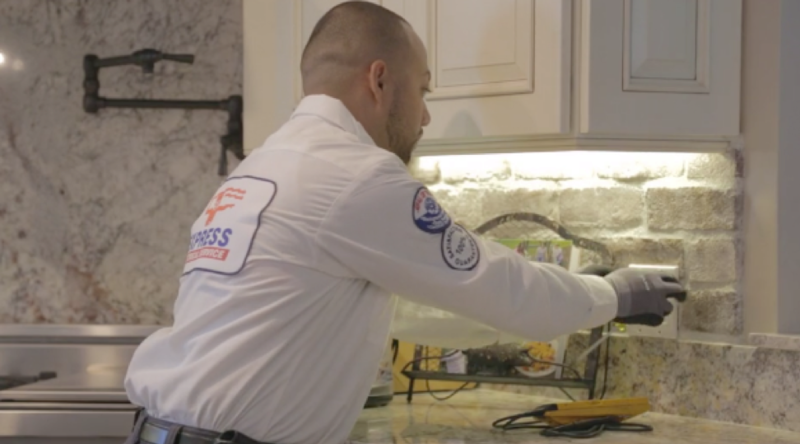 Express Electrical Services can install the appropriate outlets and manage electrical wiring for you. We ensure all electrical work is completed properly and safely. Serving Los Angeles, Orange County, and Riverside County, we can be reached by phone or you can request service online, so don’t hesitate to contact us today!